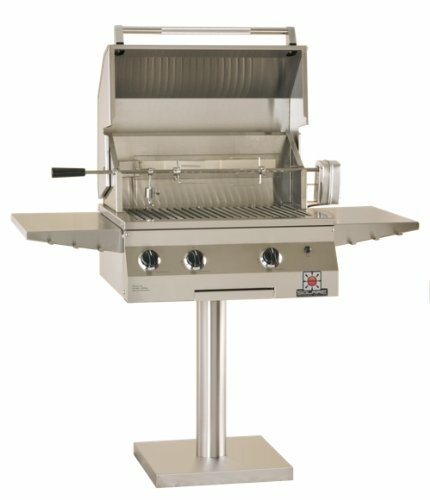 Solaire is the Muscle Car of gas grills. Sleek. Powerful. Efficient. Each Solaire grill has a “rocket under the hood” – the Solaire Infrared Burner. This superior burner gives you the high heat to lock in the juices for more tasty, flavorful food than you can ever get from a conventional barbecue grill. Professional chefs demand high heat to create great taste – and now you can too with a Solaire Infrared. 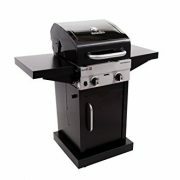 This item includes the grilling head and bolt-down post, with folding side shelves, for installing onto a deck. 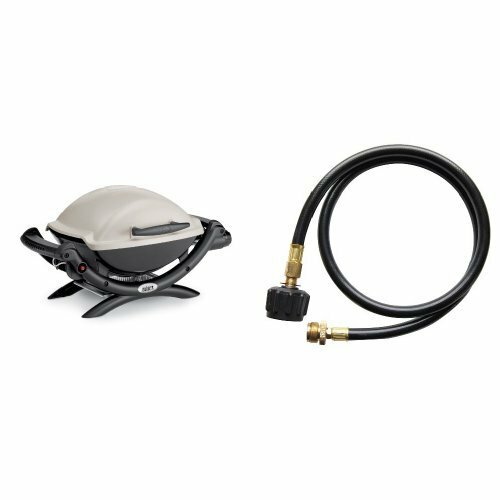 The Grill Head is factory assembled for use with natural gas; it can be converted to propane with accessory gas conversion kit item #SOL-NG-LP-27XL. A hose for connecting to a gas line is not included. 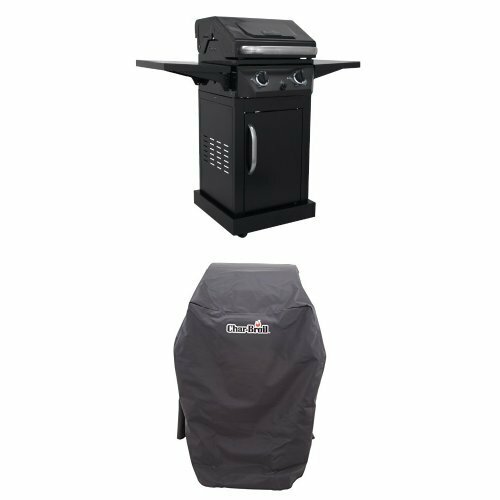 The Grill Head includes two main infrared burners, each delivering 16,000 BTU/hr, black phenolic knobs, and battery powered (9-volt) push-button electronic ignition. 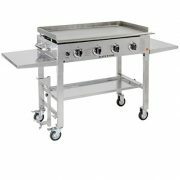 It also includes a 14,000 BTU/hour rear infrared rotisserie burner, heavy duty motor, spit rod, pair of forks and counter-weight. Stainless steel wire warming rack is 24-1/2 wide x 6-1/2 inches deep. The weight-balanced double-skinned hood includes a mirror polish accent, and has a stay-cool rotating stainless steel handle with knurled grip. The firebox is fully welded at the seams which are then ground and polished by hand. No mechanical fasteners are used. The post is stainless steel and requires some assembly. Solaire is a grilling machine that gives you the great flavor of an intensely hot charcoal fire with the control, convenience and consistency of gas. 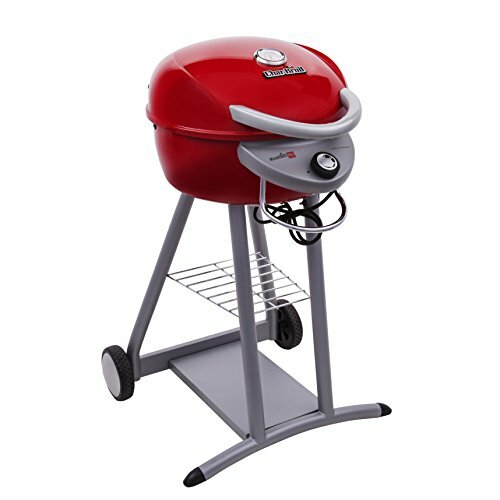 Become the undisputed wizard of backyard grilling, the envy of your neighborhood, and the hero of your family when you serve them juicier, more flavorful food then they’ve ever tasted from an ordinary grill.